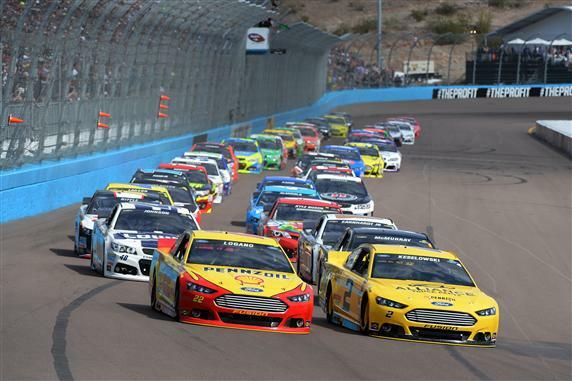 Numbers three and four, Keselowski and Logano were knockin’ on the door and dang near kicked it down at Phoenix International Raceway; a nice follow up to solid work by both drivers at Daytona. While two races does not a season make, there are less desirable ways to start your season. While their post-race comments indicate a lacking of fulfillment over their top five finishes (a good sign for Team Penske fans), be sure that it indicates that the Penske team and Ford are out to run with the big dogs Hendrick (Chevrolet) and Gibbs (Toyota.) 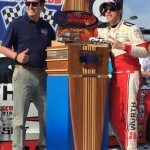 2012 Cup champion Brad Keselowski said (as if he had just kissed his best friend’s girl) “We were close. I could see it the whole race and I think some of the long-run stuff we were just as good as anybody, but then the short-run stuff we were just kind of OK.” And this came on a day when Keselowski was without the services of crew chief Paul Wolfe. Truth is, no one, not even Daytona 500 winner Dale Earnhardt Jr. was going to catch five-time PIR winner Kevin Harvick on this day. Starting from 13th, Harvick eventually caught the front of the field and raced off into the Arizona sunset. The third-place Keselowski had 40 cars behind him, and Logano, 39. Not a bad day at the office- all in all. Six Fords in the top 20- Carl Edwards of Roush Fenway also made the top 10- suggests the make’s motors will be sails and not anchors in 2014. For the record, Chevy put 10 in the top 20, and Toyota, four. Wins mean so much more than they did before, and one can conclude from the talk so far Brian France is getting the desired result as drivers look down their noses at “good points days.” Having said that, the wins will soon follow for Keselowski- never one to roll over, and Logano- a winner of three career Cup starts and hungry for much more of what sages such as Mark Martin and Randy Lajoie envisioned when the phenom was hailed as the next best thing since sliced bread. 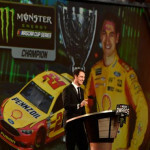 Let’s not forget, Bad Brad has already lived the championship dream, and Logano’s 2013 performance suggested he was poised to make a move forward. While they didn’t top off their visit to the Valley of the Sun with the big enchilada, Roger Penske’s boys have it going on to start the season. 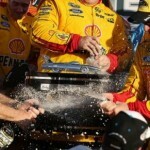 While one may dismiss the results from Daytona as a plate track fluke, one cannot say the same for Phoenix. It makes for intrigue as the Sprint Cup tour heads for Las Vegas, providing yet another differing look at what the 2014 holds in store.